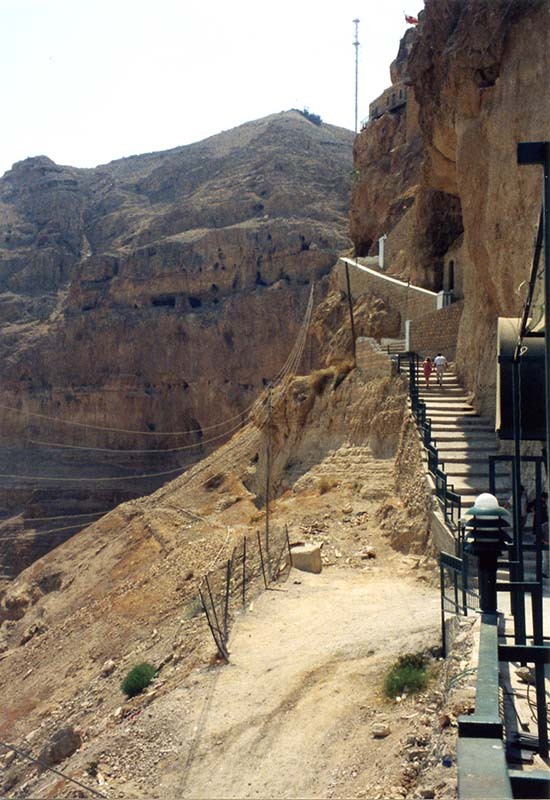 Also in Jericho, we visit the Mount of Temptation. This is the desert where Jesus fasted for forty days before beginning His public ministry. Perhaps the highest point in this photo is where Satan took Jesus for the third temptation. Take a closer look at the cliff…. 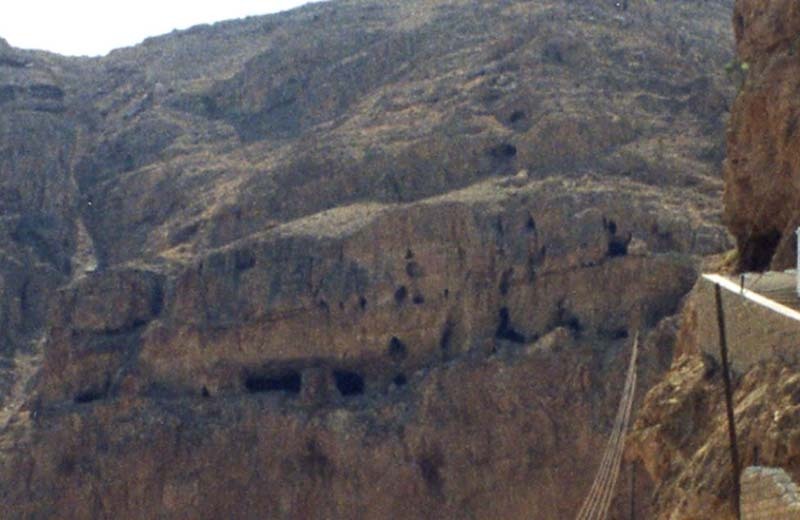 The desert mountain is filled with caves such as these. Imagine Jesus taking shelter here. My Lord Jesus, give me shelter from temptations. I want victory over the ways of the world. Help me to let go of my attachments to possessions and comfort and wanting everything to come the easy way. I want to accept what is difficult in order to grow in trust of the Father and to rely more on You and to receive the empowerment of the Holy Spirit ~ and thus will I be purified. Amen!